Mt Ararat is a standard four day trek, although some people manage to climb to the top in three. All measurements are estimates because distance and elevation markers do not exist. We arrange all equipment for the climb including tents, sleeping bags, pickaxe, hand lamp, mountaineering clothing and shoes. You will have a professional and certified local guide who will prepare three meals a day for you, and, of course, tea. We will also obtain all required official permissions from the state and local authorities for you. A hired 4-wheel drive truck will take us 10-15 km up the side of the mountain on a dirt road, but beyond this point, the road deteriorates too severely for vehicles. Most people start hiking from here. You must carry water filtration devices if you wish to drink from the mountain streams. Arrive in Van airport. You will be greeted and brought to your hotel or camp site, where you will meet your mountain guide. Dinner and overnight in Van. After an early breakfast, we will we drive to the highest truck stop (approximate elevation 2000 meters/6562 ft), then begin a four hour hike that ascends about 1100 meters to Base Camp 1 (approximate elevation 3100 meters/10,170 ft.) The distance is about 8-10 km. Base Camp 1 is a green pasture with stone walls to shield tents from the wind. Dinner and overnight in your tent. A climb to 4200 metres then return to base. A steeper six hour hike to Base Camp 2 (approximate elevation 4200 meters/13,780 ft). The distance is 10 km. Circular clearings among the rocks provide our tent sites with a natural wind shield. Melted glacier water runs freely near the campsite. Dinner and overnight in your tent. The climb from Base Camp 2 to the summit (elevation 5137 meters/16,854 feet) is 6 hours. We usually start this ascent at 2:00 am. Crampons and an ice axe are needed for the final hour of ascent. Most people return to Base Camp 2 by 11:00 am, pack, and descend to Base Camp 1. Dinner and overnight in the tent. A 4-hour descent from Base Camp 1 to where our vehicle will be waiting, and then, back to lodgings in Van and a well deserved visit to a Turkish bath to loosen up those tired muscles and a relaxing dinner on the shores of Lake Van and an opportunity to reflect on your achievement. 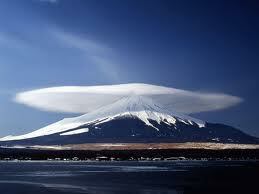 Mt Ararat is 5137m (16854 ft). You will need a permit to climb the mountain which will be obtained for you by your guides. However, this will take a couple of months to process. In the past this was considered necessary because of the political sensitivity of the region. Such sensitivities no longer exist but the authorities decided to retain the permit system to ensure the safety of trekkers on the mountain. The climate on Ararat can be both spectacular and changeable; this clearly has safety implications. Our guides have the advantage of having spent their lives on and around the mountain. 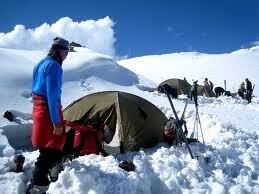 In addition, they are fully qualified and equipped to lead expeditions on the mountain as the regulations stipulate. This is an arduous trip and is not for everybody. Pre climb training is recommended and if you are starting from a reasonably good fitness base we can advise you on a fitness programme that would cover the period required for your permit to be approved. You can not simply throw yourself at Ararat; remember, the Turkish name for Ararat is 'Mountain of Pain' for a very good reason! You need to be able to walk 10-15 miles comfortably before you take this challenge on. 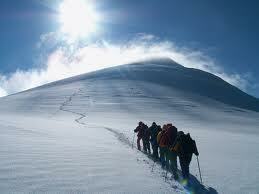 We allow an acclimatisation process as altitude sickness can be a problem with some climbers. 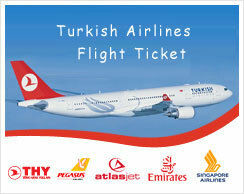 "High altitude" is defined as altitude in excess of 3000m (or approximately 10000ft). There are no specific factors such age or gender or even physical condition. Some people get it and some people don't. Most people can go up to about this level without effect but caution is important as is a steady manageable pace. This is something our guides are very familiar with and we are happy to advise you or to direct you to good sources of information. Your luggage and all camping gear is packed on horses and mules for the trek; all you need to carry will be what you require for your immediate personal need and, we recommend, a decent capacity hydration unit as dehydration can contribute to general fatigue and the onset of altitude sickness.